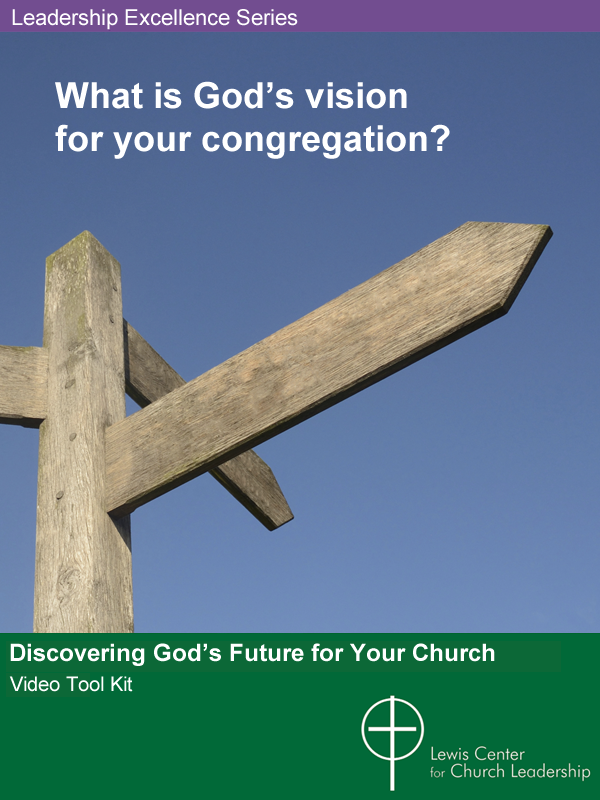 Discovering God’s Future for Your Church is a turn-key tool kit that helps your congregation discern and implement God’s vision for its future. Video segments presented by Dr. Lovett H. Weems, Jr., and Dr. Ann A. Michel of the Lewis Center guide your church leaders in understanding the importance of vision and discovering how your unique vision lies at the intersection of your congregation’s identity, current situation, and community context. Discovering God’s Future for Your Church outlines a planning process that guides your church in discovering clues to your vision in your history and culture, your current congregational strengths and weaknesses, and the needs of your surrounding community. 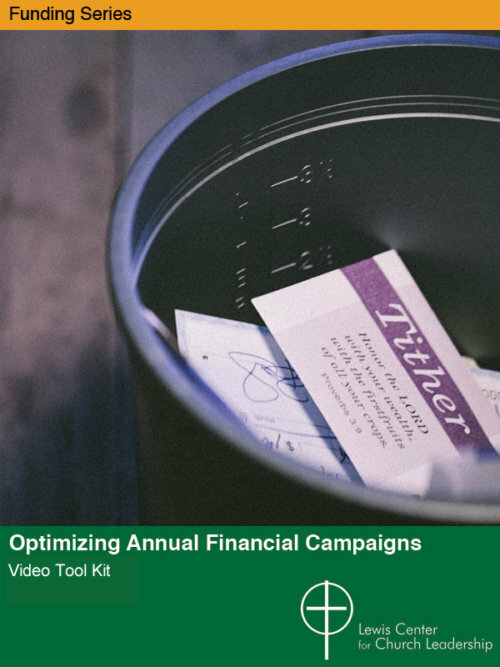 This time-tested framework for vision discernment can be used in strategic planning or in congregation-wide visioning. Watch Discovering God’s Future for Your Church: An Overview of the Process for a brief overview of our vision discernment process. 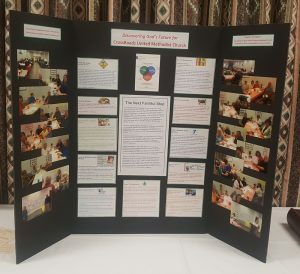 CrossRoads United Methodist Church in Collierville, Tenn., used “Discovering God’s Future for Your Church” in their discovery process. 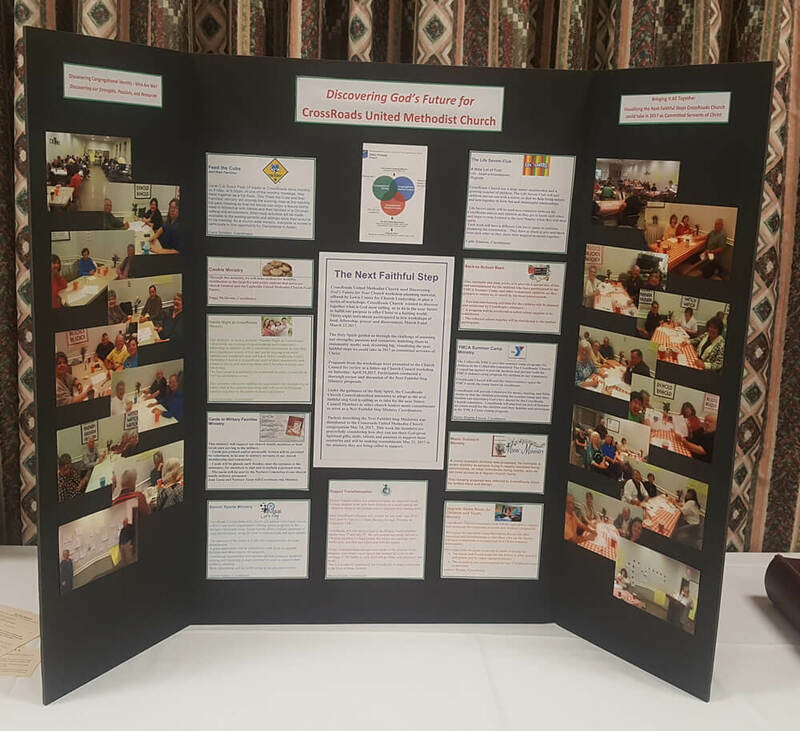 A display board represents the culmination of their efforts, highlighting the congregation’s strengths and ministries, plus a visual representation of the church’s next faithful steps as committed servants of Christ. 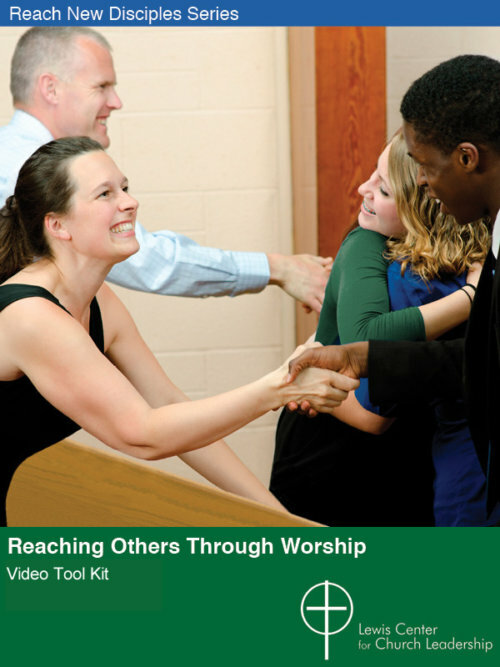 Provides a brief overview of the vision discernment process for Vision Facilitation Team members and other key players. Explains how vision is discovered through a process of examining a church’s purpose in light of its identity, internal context, and external environment. 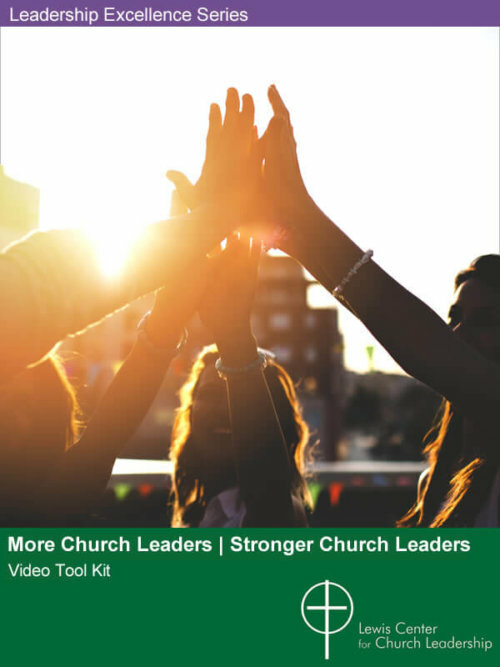 Can be used to provide an overview of the vision discernment process for leaders and/or congregation members. 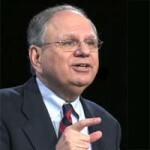 Explores biblical, practical, and theological reasons why churches must periodically renew their vision to remain vital. 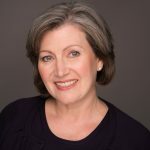 Describes how a vision can be a unifying force helping a church see beyond day-to-day issues and needs and focus instead on what God is most calling it to do. Explains why it is essential to understand a congregation’s history, culture, and values when seeking a renewed vision. Explains why a new vision must be developed in consideration of a congregation’s current reality — needs, strengths, and resources. Explains why assessing the community beyond your church is an essential, but often overlooked, aspect of developing a congregational vision. Provides instruction and examples to guide the process of articulating a new vision in light of the clues gathered related to the three spheres of inquiry. 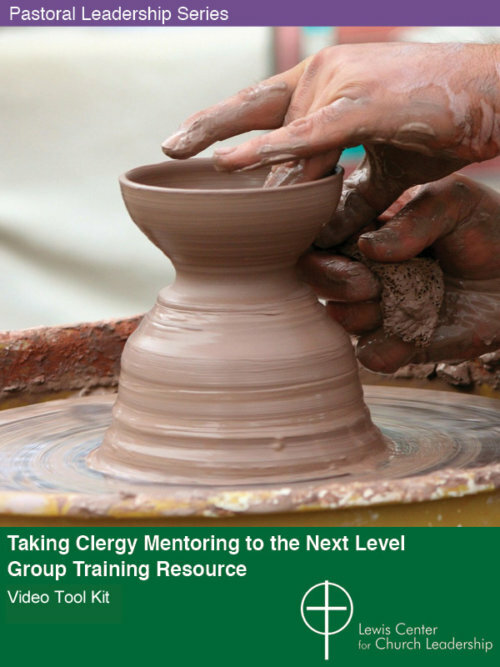 Provides ideas for how to implement a new vision by using it as a lens through which you view the activities of each ministry within your church. Illuminates key concepts related to visioning by describing how new vision came to three churches in the midst of crisis.